When creating a nap time routine for your toddler, things might seem a little tricky at first. 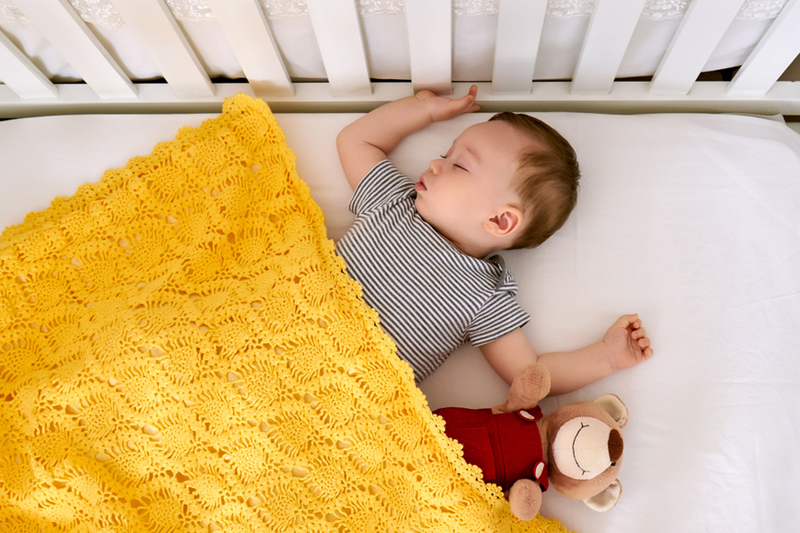 But with some consistency, a little preparation and structure to your tot’s day you’ll find that the dreaded nap time will no longer be a stressful time for both of you. It’s important that parents understand why their toddler needs to nap; as they grow, their sleep needs change too. Napping helps your toddler to conserve energy, which is needed when they’re going through these important growth spurts in their early years. You might find they’ll sleep (and eat) more as their energy demands are much higher now. Quite quickly, you’ll find your three naps a day baby will now only need one nap, and will begin to sleep throughout the night. Refrain from letting them sleep in your bed one day, and then on the sofa the next. You want to ensure that they associate the same place with sleeping – whether it’s nap time, or bedtime. Do you play some rain music to help them relax ready for their zZz’s at bedtime? Great! Make sure you do that too when it comes to nap time. Close the curtains, turn their night light on, give them their favourite soft toy – whatever they’re used to at night, implement at nap time too! Refrain from letting your tot nap until after 4pm. Sure, one day you might not be able to get them down until late because you were running an errand or you were out for the day – but at least remember to leave at least three hours between your tot’s nap time and their bedtime. We’re sure before that your baby and younger toddler was napping after meal times, which provided a good structure to your day. Now it’s reduced to one nap – you can still have routine and incorporate meal times into that, too. After lunch would be a perfect time to get them ready for nap time. If your little one spends time at day care, try to mirror the routine they have there at home on weekends or days when they’re not there. It’s easier for you to implement the same than it is for them to match yours. Things like yawning, getting cranky, rubbing their eyes and zoning out are all tell-tale signs that your little one needs to recharge their batteries. Even if it’s a little earlier, or later than their normal nap time routine, you can be flexible and your little one will no doubt let you know when they need to get their head down and rest! It’s understandable that some parents might become ‘uptight’ about nap time – but try to not let the nap time routine dominate your lifestyle. Yes, you can still go out, enjoy a family day out, head to the mall or go round to a friend’s every once in a while. Nap times, ideally, shouldn’t last any longer than 90 minutes in total – or else you might be faced with an energy-filled tot that refuses to settle later on in the evening when it’s bedtime!